For proprietor Brian Piccini, the road to becoming one of Boston’s most successful restaurateurs was hardly a typical one. But this atypical journey, powered by his endless well of energy and passion for the business of hospitality has propelled Deuxave to the top of every 'Best Of' list in Boston, and through his leadership as CEO developed the unique and successful portfolio of Boston Urban Hospitality. Brian’s first experience in the industry came at the age of 18 where as pianist for The Top of the Hub he learned the ins and outs of the guest experience. Even while working full-time as a server and bartender, his entrepreneurship couldn’t be contained by hospitality alone—he also opened a studio and produced dance music, studied neuroscience at Northeastern and developed real estate—using his earnings from his restaurant jobs. This 360-skill set coupled with a relentless desire for discovering new places and experiences through global travel perhaps explain best Piccini's gift at transforming failed restaurants into vibrant, successful, award-winning businesses. Nick Daddona is behind Boston Urban Hospitality’s wine and cocktail menus. He has over a decade of experience in the Boston Beverage scene – including the management of beverage programs at Legal Seafoods and the Boston Harbor Hotel. 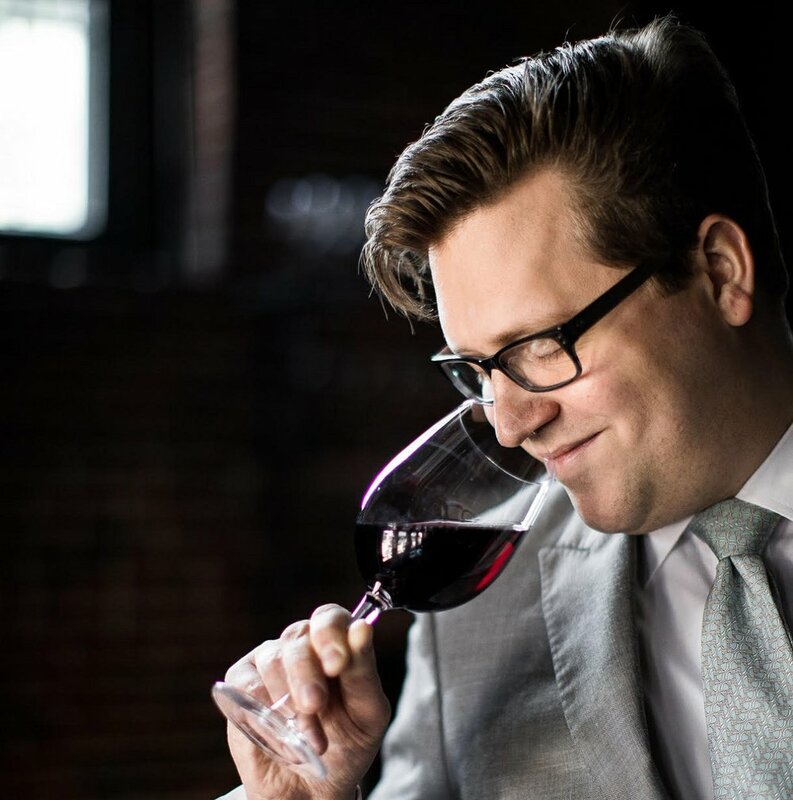 He is currently persuing the Master Sommeliers diploma through the Court of Master Sommeliers, Americas – and is always seeking to improve upon his own knowledge as well as the knowledge of the team members at Boston Urban Hospitality. You will always be able to find Nick working on finding the best wine for our restaurants, working on the exciting new cocktail, and educating the staff. Most importantly, Nick believes in the power of service and hospitality to better serve our guests day to day in all of our restaurants. Chef Christopher Coombs has become one of Boston’s top chefs and restaurateurs. Known for his impeccable culinary technique and love of seasonal, local ingredients (especially those of the Northeast), Coombs oversees the culinary teams at his three restaurants: fine-dining mecca Deuxave, modern steakhouse, Boston Chops, and American bistro, dbar. Under Coombs leadership, Deuxave consistently shows up on Best of Boston lists and earned a Wine Spectator Award of Excellence. Boston Chops was voted Food & Wine magazine’s “Best New Steakhouse” in 2015. Being named one of “Forbes 30 under 30” in 2012 catapulted Coombs onto the national stage. He works with influential brands including Mercedes-Benz and Hood Dairy as a brand ambassador and has been speaking at trade and education events around the country. He has appeared on Food Network’s “Chopped” and was featured in Food & Wine magazine. Coombs lives with his wife and new son Carter in Boston and like any good born and bred New Englander supports the Red Sox and the Patriots with unabashed loyalty. Having most recently worked as the Four Seasons’ Sommelier and Manager, Ali took over Deuxave’s General Manager and Sommelier duties in 2017. Ali believes in curating a wine list that represents the restaurant’s food and guests’ requests as well as up-and-coming trends and regions. Ali has helped maintain Deuxave as a Forbes 4-star establishment, as well as receive Wine Spectator Best of Award of Excellence with strong focus on guest relationships and staff training. Chef Adrienne earned her bachelor’s degree in culinary arts and culinary nutrition from Johnson & Wales in Providence, RI. Upon graduating, she secured a position working as a line cook at the critically acclaimed Arrows in Ogunquit Maine, then Radius in Boston. Within just one year on the line, she was promoted to Sous Chef where she worked alongside award-winning Chef Michael Schlow. In December of 2011, Chef Owner Chris Coombs recruited Chef Adrienne as Sous Chef for Deuxave. She is now managing the four kitchens of Boston Urban Hospitality as Executive Chef, developing menus and new dishes as well as training and mentoring the next generation of chefs at Deuxave, Boston Chops and dbar. Chef A, as her team calls her, was also finalist on this seasons Top Chef.